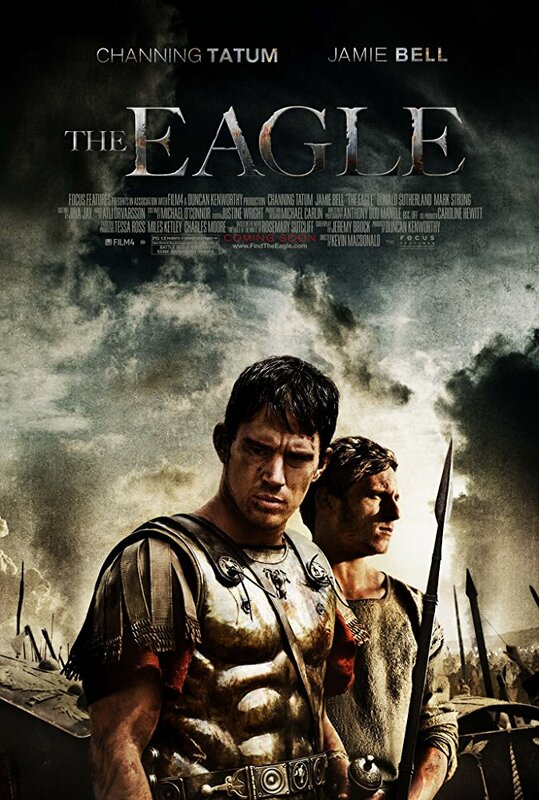 The Eagle is a film of historical fiction, and stars Channing Tatum, Jamie Bell, and Donald Sutherland. Released in February of 2011, The Eagle adapts Rosemary Sutcliff's 1954 novel The Eagle of the Ninth. It was filmed with a budget of $25 million, and made approximately $27 million worldwide. Critics and audiences both did not receive the film well, receiving a 39% on Rotten Tomatoes, 55 of Metacritic, and 6.2/10 on IMDb. The film follows the young Centurion Marcus Flavius Aquilla (Channing Tatum) and his British slave Esca (Jamie Bell) as they travel north of Roman Britain into Caledonia, now known as Scotland. Their quest is to find the Eagle standard carried by Marcus’ father’s legion, which was lost 20 years prior. On this quest to redeem his family’s honor, two historical influences make up the centerpieces of the film. The first is the lost Ninth Legion, or Legio IX Hispana. In the film, this legion was annihilated in campaigns against the Britons. However, historians dispute this claim, as some argue that the Legion was simply reassigned to a new posting. There is still no consensus, as the Legio IX Hispana disappeared from Roman military records after 120 CE. It was this mystery surrounding the Legion that inspired Sutcliff to write The Eagle of the Ninth. Another inspiration for the novel was the Silchester Eagle, an artifact that gave Sutcliff the idea of the lost eagle of the Ninth Legion. Another historical centerpiece in the film is Hadrian’s Wall, the structure that marked the border between Roman Britain and lands under indigenous control. The cause attributed to the movie for the construction of the wall was the defeat of the Ninth Legion as explained in the film’s introduction. Historically the wall was built for similar reasons—high Roman casualties and trouble managing the new territories. Other historical inspirations found in the film helped shape the world it was set in, as well as offering a bit more understanding about certain aspects of characters and people. One minor but very interesting detail put into the film were the scenes of Marcus praying to Mithras. The Cult of Mithras was a very popular mystery cult in ancient Rome, and had spread from its beginnings in Persia to seemingly everywhere in the empire. The cult stressed power and courage as central parts to the worship of Mithras. Thus the depiction of a Centurion being a Mithras worshiper is steeped in a type of historical realism. This plot point may help the audiences understand the motivations, anxieties, and hopes of a soldier, especially a commanding officer. Other interesting historically rooted inspirations in the film may be seen in scenes of the Seal People, the primary antagonists of the story. Both the name and appearance of this tribe have clear Celtic influences. The naming of the tribe as the Seal People in the film could be a reference to the folkloric Selkie, which was a shape-shifting creature that was known to wear furs in their human form and live by bodies of water. The Seal People in the film are seen both living by water and wearing furs. While this is where the similarities between the film’s Seal People and the Selkie end, a historical reference to the coloration of the Seal People, seen in the film as warriors of a tribe who color their skin grey, might be alluding to popular depictions of the Picts, the natives of Scotland in the late Iron Age, as the Picts were said to have dyed their skin blue. Modern critics have compared the film’s central conflict between the Romans and Britons to the modern state politics in the United Kingdom. One such critic claimed that the struggle of 1st-century Britain could be understood by the English today by putting themselves in the place of the Britons, and seeing the increasingly connected EU as the new Roman Empire. Meanwhile, with the context of Braveheart in mind, the Scots could interpret this movie quite differently, as a tale of the freedom-loving northerners fighting back against an imperialist force from the south of the island. 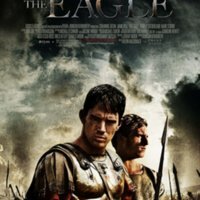 Sotiris Georgakopoulos, “The Eagle (2011),” Medieval Hollywood, accessed April 24, 2019, http://medievalhollywood.ace.fordham.edu/items/show/10.